Northern Fury #13.4 - Hammer (1994): Bart Gauvin's WW3 epic continues. You are commanding the USAF’s 336th Fighter Squadron – The Rocketeers, and your mission is to sever the only ground link through central Norway – the E6 Highway. Several elements of 25th Air Force will be supporting you, in particular SEAD and OCA support from 81st Tactical Fighter Wing and some of the heavies from Scotland, but this is your time to show what your F-15Es can do. 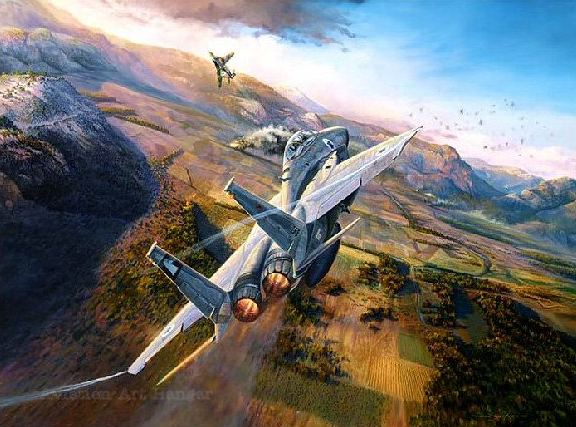 Northern Fury #12.4 - Sneak & Peek (1994): As the Soviet ground and air campaign moves south, consuming massive amounts of supplies and resources, the Rear Services group for Archangel Corps struggles to keep pace. For much of Norway’s coastline there is a single two-lane road connecting from the Arctic border near Murmansk all the way to Trondheim, over 2000 Km including an 8Km ferry SW of Narvik. In order to speed the delivery of supplies, coastal shipping is in fairly heavy usage. But that is vulnerable – and your job is to prove just how vulnerable that is. One Ship, One Country (2017): The capabilities of the F-35 and LHA as a light carrier are to be put to the test in this wargame where a single amphibious ship is quickly diverted to attack a fictional nation comprised of highly skilled Aggressors. 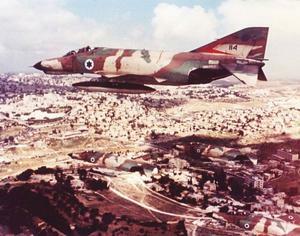 For many of the newly trained pilots, it will be their first big "battle". 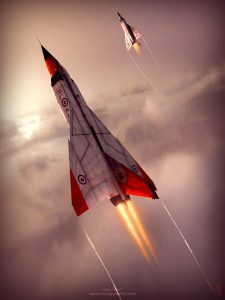 The hypothetical AEW-Osprey joins the Lightning II in the scenario. For the commander, it will also be a big battle-of how to deal with the 'rationing' of limited ammunition and many targets. Confrontation near Tartus (2017): This scenario assumes the attack on Syria by U.S. forces in 2017 was quickly followed by another strike. By this time, however, Russia has a surface action group (SAG) in the area and it is not clear how they will respond. Baltic Ballet (2019): The "Gotland Independence Front", a group suspiciously similar to Ukraine's "Little Green Men", has occupied the island of Gotland and its rich natural resources. How will the Swedish government respond? Desperate Measures (2016): Bolivia and Chile are at war, and the Bolivian Air Force plots a desperation mission with its remaining strength. String of Pearls - Lance the Boil (2020): Following months of negotiations, the Chinese military base in Sri Lanka is to be eliminated before it can be further developed. The USN Combined Task Force 151 (CTF-151) is ordered to destroy the facilities located at Port Hambantota on the southern coast. The attack must be a lean quick strike to send a firm message that any moves toward the Diego Garcia US base will not be tolerated. Yankee Team (1966): Operation Rolling Thunder continues apace for the US Navy. For the next 24 hours, you will be overseeing air operations for Task Force 77, on station at Yankee Point and conducting strikes on North Vietnam. The targets for today, located in the USN's area of air operations at Route Packages 2, 3, 4 and 6B, have just been assigned with direct oversight from the White House. It is sure to be a long day. Korean Crisis (1994): The Korean crisis of 1994 is a seldom studied incident the in timeline of US efforts to halt North Korea’s nuclear and ballistic missile programs. Realistically, the ’94 crisis was the starting point. In June of that year the United States found itself dangerously close to war with North Korea. 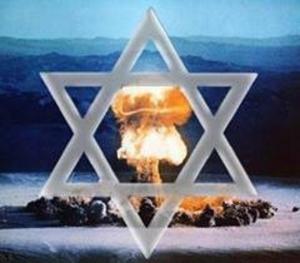 It was becoming evident that North Korea was committed to developing nuclear weapons. The primary concern in Washington at the time was that any action the US might take could result in war on the Korean peninsula. The North Korean government had made it clear that even an act such as the implementation of sanctions would be regarded as an act of war. Tensions were rising and the possibility of war was quite real. Duke of York Never Gives Up (1950): During the early days of the Korean crisis, the United Kingdom decided to send two large warships into the Sea of Okhtosk as an intelligence-gathering and show-of-force mission. They did not expect the Soviet Union to respond with open hostilities. Khasab Helicopter Strike (2017): The turmoil of Middle Eastern politics has turned to Oman, and the UAE attempts a daring helicopter hop across the mountains to seize Khasab. Cocos Islands (1978): The Cocos (Keeling) Islands in the Indian ocean occupy an important strategic location, allowing extension of regional force projection, surveillance and secure lines of communication. They are also located close to IO and South China Sea shipping lanes. This strategic importance is further boosted by the airfield that was constructed there in WWII. In 1978, due to the very poor treatment of the islanders and the feudal system of governance by the then owners, the Clunies-Ross family, the Australian government forced the islands owners to sell the island to them using the threat of compulsory acquisition. This scenario explores what may have happened if the disgruntled Clunies-Ross family instead sold the island to India. Northern Fury #13.5 - Anvil (1994): Strike Fleet Atlantic (STRIKFLTLANT) is now in the second phase of its counter attack in the Atlantic. Fighting on Iceland continues but 2 MEF believes that they will have the island clear within the week. 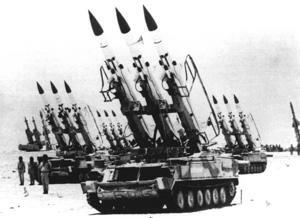 A massive NATO attack three days ago halted Soviet plans to seize Oslo but with Berlin and Copenhagen in Russian hands, the situation is not yet assured. Commander STRIKFLTLANT has set in motion a series of attacks designed set up the conditions for upcoming amphibious operations in central Norway – Operation Thor’s Lightning. This is one of those actions. Arctic Tsunami (2019): Following a massive cyber attack, "Little Green Men" units feature prominently in erupting riots accross all three Baltic states. At the same time the Russian Northern fleet is performing a major sortie centered around its strategic missile submarines and the upgraded flagship Admiral Nakhimov. To counter this, the RN carrier Queen Elizabeth embarks with a squadron of F-35Bs and the shut-down airbase at Keflavik in Iceland is hastily reactivated. Indian Fury #2 - Mozambique Madness (1994): The chaos of WW3 fought in Europe (as chronicled in the "Northern Fury" series) now spills over into the Indian Ocean. 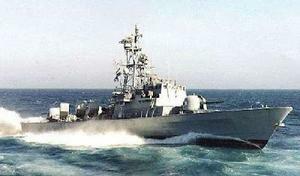 A depleted battle group steaming into the IO after a visit to Cape Town is caught in the emerging maelstrom. Indian Fury #3 – Socotra Scramble (1994): Commanding the USS Nimitz CVBG, you have been tasked to steam at maximum possible speed north to join the 6th Fleet in the Mediterranean. Things are "interesting" in the Indian Ocean but positively frantic in the Med. You will need to assemble your Battle Group, neutralize several layers of enemy defences, and proceed through restricted, hazard-laden waters to enter the Red Sea on your journey to the main theater of operations. Blood Diamonds (2018): On August 2018 an alleged coup d'état was attempted in Angola against state institutions, including (but not limited to) the government and President Jose Eduardo dos Santos. The attempt was carried out by a faction within the Angolan Armed Forces that organized themselves as the FNLA (Frente Nacional de Libertação de Angola). On August 5th, the ruling MPLA party, considering its strong economic relations with China (Angola is China's second biggest trading partner in Africa), appealed to the Chinese government with the request to help stabilize the situation in country. Between Ascension and San Carlos (1982): Argentina's navy was quite powerful by South America standards, but never tried to attack the British lines of communication in the Atlantic between Ascension Islands and the Falklands. This hypothetical scenario depicts an aggressive Argentine blue water navy formation trying to attack escorted Royal Navy replenishment ships, carrying much needed fuel and spares to the British task force to the South. Between Ascension and San Carlos - The carrier duel (1982): This hypothetical scenario depicts aggressive moves by Argentinian task forces, including the Venticinco de Mayo carrier, trying to attack escorted Royal Navy replenishment ships, carrying much needed fuel and spares to the British task force to the South. The Royal Navy, discovering the plan, calls the Invincible carrier with escorts and a SSN for help from the south, trying to stop the Argentine formation and save the replenishment ships. As always, the community scenario pack is available for download from the Command downloads page: http://www.warfaresims.com/?page_id=1876 . Most of the scenarios are also available for individual download on the Command workshop on Steam. 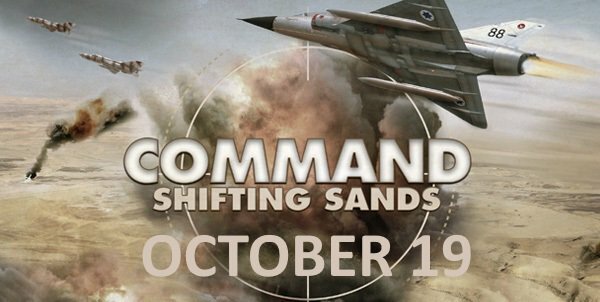 Command: Shifting Sands is announced! 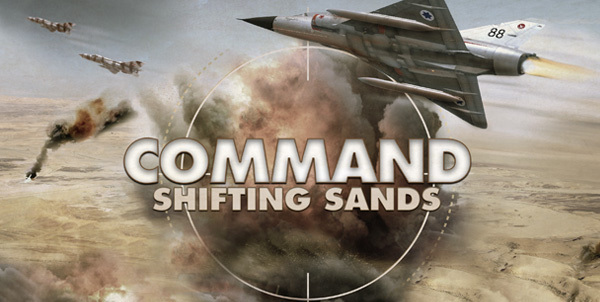 Command: Shifting Sands is released! 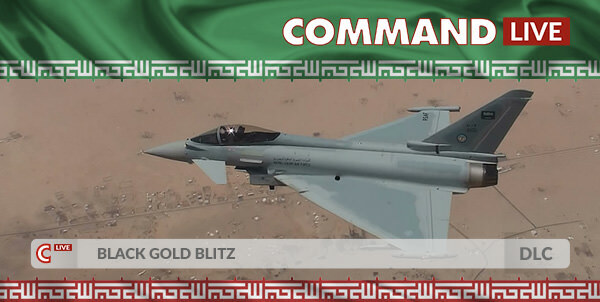 Command LIVE #7 released: Black Gold Blitz! Limited one-week sale on Fanatical (ex-Bundle Stars)! 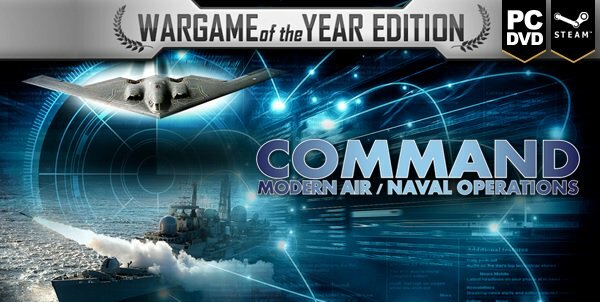 Command: Modern Air / Naval Operations WOTY is part of a Flash Sale at Fanatical (formerly Bundle Stars) for $19.99 + an extra 10% off by using the code BLACKFRIDAY10, or about $17.99 U.S. if I calculated correctly.